The House of Gorges is an ancient English family with Norman origins. They obtained the manors of Wraxall, Somerset and Bradpole in Dorset. The family again reached prominence in the 16th and 17th centuries. The Gorges family obtained the manors of Wraxall, Somerset and Bradpole in Dorset. Ralph de Gorges was marshal of the army of King Edward I in the wars in Gascony in 1293, and was in opposition to Piers Gaveston, 1st Earl of Cornwall. He was summoned to Parliament as Baron Gorges by writ between 1308 and 1322 and is mentioned in the Nomina Villarum 1315-16. This was a large manor returned as 3 knights' fees in the Testa de Nevill. The de Morville family held Knighton in the 12th century. Local legend associates Knighton with Hugh de Morville, Lord of Westmorland (d.1202)' one of the 4 knights who murdered Thomas a Becket Archbishop of Canterbury in his cathedral on 29/12/1170, and is said to have fled after the murder to Knighton. However, this is not supported by reliable historical evidence which states that Hugh fled first to Saltwood Castle near Canterbury, and thence to de Morville's Knaresborough Castle in Yorkshire. The era is too early to seek evidence in shared armourials, heraldry not having become widespread until the early 13th century, but it appears the two families sprang from a common 11th-century source, not clearly documented. In the 13th century Eleanor, heiress of John (or Ivo) de Morville (d.1256), married Ralph de Gorges Eleanor died in 1292, still seized of the manor, having outlived her husband. 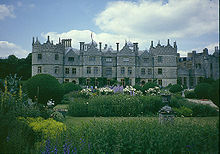 Her son Ralph de Gorges leased the manor in 1305 to William de Caleshale and his wife for the duration of their lives. Before 1316 the manor had reverted to Ralph de Gorges, knighted sometime thereafter. Tothill, Lincolnshire, between Louth and Mablethorpe. The modern hamlet of Tothill lies adjacent to a tumulus of an ancient motte and bailey castle, known as "Toot Hill", a common place name meaning "lookout hill", i.e. a highpoint on which warning beacons signalling invasion were lit. In Domesday Book it was spelt "Totele". Tothill was held by the Ferre family, from which came Eleanor the wife of the 1st. Baron Gorges (d.1323/4). The manor was taken from Richard de Seez in late 1265 and was granted to Queen Eleanor of Castile, who surrendered it to her husband King Edward I in 1274. The King then granted it to John Ferre, steward of Eleanor's household. There is however little certain evidence affixing this place associated with Ferre with Lincolnshire. The manor of Tothill, Lincolnshire is known to have been held by the Willougby de Broke family until about 1910, under whose ownership it formed a single manor with Gayton-le-Marsh. Tothill Manor in the Isle of Wight. It is certain that the Gorges family held nearby Knighton manor. Tothill is mentioned for the first time in 1267 as a possession of Thomas de Aula (Feet of Fines, Hants, 52 Hen. III, no. 582) and is not again mentioned until 1488, when it still belonged to the lord of Yaverland (De Banco Roll, Easter, 3 Hen. VII, m. 21 d.). Sir William Russell (d.1311) became Lord of Yaverland on his marriage to Katherine de Aula, daughter of Thomas de Aula, and the Russell family continued to hold Yaverland until the death of Stephen Hatfield in 1461, 4th. husband of Isabel Russell (d.1437), 2nd daughter of Sir Maurice Russell (d.1416). Tothill followed the descent of Yaverland until 1729 or later, appearing for the last time in the will of Edward Richards of Yaverland (Recov. R. Trin. 10 Will. III, rot. 243, 244; P.C.C. 146 Abbot). The site of this manor cannot now be identified, but it probably formed part of Yaverland, at the extreme eastern tip of the island. There exists today a "Tothill Farm" horse-stud on the borders of Hampshire and Dorset, the origin of the name of which is not recorded. Ralph, 2nd Baron Gorges, who died without issue in 1330/1, shortly after his father's death, was keen to see his family name and armourials continue, and formed the plan of bequeathing the Gorges estates to a younger son of his sister Eleanor on condition that he should adopt the name and arms of Gorges. Eleanor's 3rd son, Theobald Russell II (his 2nd elder brother William having died), then adopted the name Gorges and founded a revived Gorges line, which flourished, based at Wraxall, Somerset. In 1346/7 Theobald was sued in the name "de Gorges" by Elizabeth, widow of his uncle Ralph, 2nd Baron Gorges (d.1331), for the manor of Knighton. Judgement was given in her favour, but, as she had no issue by Ralph, the manor reverted to Theobald by 1362. On the death of Theobald in 1380, the manor of Knighton, less a dower interest of 1/3, passed successively to his sons Sir Randolf (Ralph?) (d.1382), Bartholomew (d.1395/6) and Thomas (d.1404), all of whom chose to use the Gorges family name alone. Theobald's widow Agnes, presumably the mother of the 3 sons, died in 1400, when her customary dower share of 1/3 reverted to Thomas. Thomas left a son John, who died in 1413 aged only 15, leaving his 10-year-old brother Theobald as heir. In 1462 Sir Theobald Gorges was in possession of Knighton, and probably died without issue as the manor of Knighton reverted via the Russell family to John Haket (d.1498) of Wolverton, Isle of Wight, 1st cousin & heir of Thomas Russell (d.1431) son of Sir Maurice Russell (d.1416). In the 16th century Thomas Gorges (1536–1610), a son of Sir Edward Gorges of Wraxall, Somerset, by either Mary Newton or Mary Poyntz, a kinsman and courtier of Queen Elizabeth I, acquired the manor of Langford, now Longford, in Wiltshire in 1573 and built there Longford Castle. His wife was a Swedish noblewoman, Helena Snakenborg, marchioness (through her first marriage) of Northampton. Due to her influence, Swedish-style architecture was adopted in the construction of Longford Castle. Helena's mother was a descendant of Agnes of Borgarsyssel, a natural daughter of Haakon V of Norway. Helena has a remarkable monument in Salisbury Cathedral. In 1341 Theobald Russell "de Gorges” adopted the Gorges arms used by his uncle and grandfather, that is to say those taken from their de Morville heiress who brought them Wraxall. In 1347 he was challenged by Sir John Warbleton (or Warburton), a knight from Cheshire who happened to be serving with him at the Siege of Calais, who noticed they both bore the same arms on their shields, "Lozengy or and azure" (a field of gold and blue lozenges). The case was brought before a court of honour convened at Calais and presided over by Henry of Grosmont, Earl of Lancaster which adjudged on 19 July 1347 the disputed arms to Warbleton. Theobald Russell "de Gorges" thus added a "chevron gules" (red chevron) to the de Morville arms as a difference, in order not to contravene the judgement. Thus the new Gorges arms, known as Gorges Modern, became "Lozengy or and azure, a chevron gules", and one of the more celebrated and historic heraldic cases heard in a military court was recorded. This coat of arms was afterwards used by Sir Ferdinando Gorges. The ancient Gorges canting arms of "Argent, a gurges azure", being a blue whirlpool on a white (or silver) background, gurges signifying in Latin a Whirlpool, had been retained some generations before by the senior Gorges line seated at Tamerton Foliot, Devon, the cadet line having married the de Morville heiress. Quarterings on Coplestone funerary monument, dated 1617, St. Mary's Church, Tamerton Foliot. The blue whirlpool of Gorges is visible as the 9th. "quarter"
Gorges effigy, St Mary's Church, Tamerton Foliot Said by Raymond Gorges op.cit to represent John Gorges of Warleigh House, lord of the manor of Tamerton Foliot, who flourished at the start of the 15th century. The whirlpool arms as borne by the senior branch can be seen in Tamerton Foliot Church of St. Mary as a whorl in the 9th. quartering on the 1617 Coplestone funerary monument. The Coplestone family inherited Tamerton Foliot by marriage to a Gorges heiress. In the form of 3 concentric annulets the arms were formerly visible sculpted on the tunic of the adjacent knightly effigy, said by Raymond Gorges op.cit to represent John Gorges of Warleigh House, lord of the manor of Tamerton Foliot, who flourished at the start of the 15th century, and his wife. Fire damage has since removed all visible trace of any armorial on the knight's tunic. A pair of the wooden roof bosses of the church at Chagford, Devon, display whorls, believed to be the Gorges arms, as the family was connected with that manor. Ormerod, G.W. in his "Historical sketch of the Parish of Chagford", states that the Gorges family had "a great influence in the parish between 1439 and 1461 being descended in the female line from the Wibberi family". Sir Arthur Gorges (1569–1625) was a poet, translator, and courtier. He married twice, first to Douglas Howard in 1584, with whom he had one daughter. Douglas Howard was the daughter and heiress of Henry Howard, 2nd Viscount Bindon. Henry Howard’s father, Thomas Howard, 1st Viscount Howard of Bindon, was the second son of Thomas Howard, 3rd Duke of Norfolk, uncle to Anne Boleyn and Catherine Howard, two wives of Henry VIII. Sir Tristram Gorges (1562–1608) was a sea-captain under the command of Sir Francis Drake. He fought against the Spanish Armada and was jailer of Don Pedro De Valdez. Sir Ferdinando Gorges (1565–1647), called the "Father of English Colonization in North America", was an early English colonial entrepreneur and founder of the Province of Maine in 1622. Gorges himself never set foot in the New World. Edward Gorges (1631-1708), MP for Somerset. Samuel Gorges (1635-1686), Edward's brother, judge of the Court of Common Pleas (Ireland). "They consist of ca. 5,000 items, 1616-1940, and contain the material used by Raymond Gorges to write his book, The Story of a Family through Eleven Centuries, History of the Gorges Family, published in Boston, USA in 1944. The book provides an excellent guide to the materials; the items have been identified according to Mr. Gorges and left in the order used by him with slight modifications. The papers include genealogical information that Mr. Gorges used to produce his pedigree located at the end of the book. 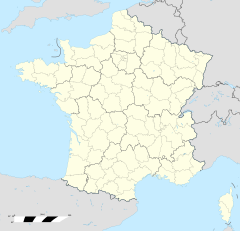 There are also family histories, beginning in 1066 when the family was in France, and individual biographies. This material contains information on the careers and schooling of family members as well as copies of their correspondence. The legal papers are an excellent source of English documents and provide added information on the family's interesting and noble history. Also provided is historical information used to provide background for Mr. Gorges' book. Included are Mr. Gorges' research notes which give some indication of his organization for the book. Although he failed to publish it in his lifetime, his wife had the book published to his specifications in 1944. There are also postcards of country scenes in England and Ireland. The materials deal with the entire history of the family from 1066 to the 20th Century but original documents date from 1618. Also included is Mr. Gorges' personal correspondence about his research; this correspondence is interfiled with relevant materials. This is an excellent collection for historical information on England and Ireland especially the historical intertwining of the two nations". Raymond Charles Howard Gorges' book: "The story of a family through eleven centuries, illustrated by portraits and pedigrees, being a history of the family of Gorges, by Raymond Gorges, based on material prepared by the Rev. Frederick Brown, F. S. A" is in the public domain at the Hathi Trust Digital Library. Gorges was born in Ireland in 1877 and moved to the USA in about 1912 after he had married Grace Vernon Dodge, widow of Norman White Dodge who was the son of William Earl Dodge. Her step-son was Marcellus Hartley Dodge Sr. Gorges died on February 21, 1943; his book was publish after his death. ^ See Roll of Caerlaverock and external link , where the arms of "Rauf de Gorges" at Caerlaverock were blazoned as "mascle de or et de asur", an alternative description for "lozengy or and azure". ^ Gorges, Raymond & Brown, Frederick, Rev., FSA. The Story of a Family through Eleven Centuries, Illustrated by Portraits and Pedigrees: Being a History of the Family of Gorges. Boston, US, (Merrymount Press privately published), 1944. ^ Worsley, Sir Richard. History of the Isle of Wight, London, 1781, p.205 "The manor of Knighton Gorges was held in the reign of Henry III (1216-1272) by John de Morville, a younger brother of de Morvilles, a considerable family in the county of Cumberland". Worsley provides no evidence for his assertion of kinship. ^ Gazetteer of Markets & Fairs to 1516, Lincolnshire, "Tothill"
^ VCH Hants, 1912, vol.5, Knighton. ^ Chagford Church booklet "The Parish Church of St. Michael the Archangel, Chagford, A Short History & Guide, p.14. ^ Gorges, Raymond (1944). The story of a family through eleven centuries, illustrated by portraits and pedigrees, being a history of the family of Gorges. Boston: D. B. Updike, the Merrymount press. Retrieved 18 August 2015. Gorges, Raymond & Brown, Frederick, Rev., FSA. The Story of a Family through Eleven Centuries, Illustrated by Portraits and Pedigrees: Being a History of the Family of Gorges. Boston, US, (Merrymount Press privately published), 1944. Full text of "Sir Ferdinando Gorges and his province of Maine. Including the Brief Relations, the Brief Narration, his Defence, the Charter Granted to him, his Will, and His Letters. This page was last edited on 24 November 2017, at 07:30 (UTC).